4mm White Pearls. Beautiful reel of white pearls. 10 meter roll. ..
6mm White Pearls. Beautiful reel of white pearls. 10 meter roll. ..
4mm Ivory Pearls. Beautiful reel of ivory pearls. 10 meter roll. ..
6mm Ivory Pearls. Beautiful reel of ivory pearls. 10 meter roll. ..
12mm Ivory Pearl Ribbon. Pearl Band with 3 rows across of small pearls in ivory. 10 meter roll..
15mm Pearl White Daisy & Diamante Ribbon. Exquisite pearl ribbon with diamante detail! 1.8..
5mm Silver Pearls. Beautiful reel of silver pearls. 10 meter roll. ..
5mm Gold Pearls. Beautiful reel of gold pearls. 10 meter roll. 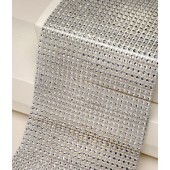 &nbs..
Silver Diamante Ribbon. 12cm wide, 24 rows of diamante. 1 yard long. 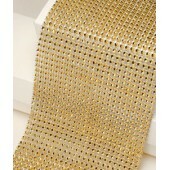 You can also easily cut..
Gold Diamante Ribbon. 12cm wide, 24 rows of diamante. 1 yard long. 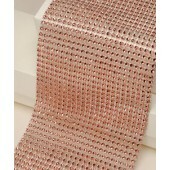 You can also easily c..
Rose Gold Diamante Ribbon. 12cm wide, 24 rows of diamante. 1 yard long. You can also eas..